SPACE FRONTIER | Free Mobile Games on Funky Potato! Control the multistage rocket. Observe each stage and tap the screen just before it burns out to prevent the rocket from exploding. 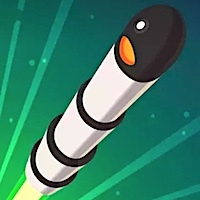 Upgrade your rocket and reach the stars!